MosquitNo Insect Repellent Wipe based on Saltidin®. Apply the wipe on the skin area that needs to be protected. Use the wipe multiple times before it's dry or share it with your loved ones. Without typical insect repellent fragrance! 100% Deet free. With Aloë Vera & Saltidin®. The wipe offers protection against mosquitoes for up to 5 hours! Protect yourself against mosquitoes and other insects all at once! 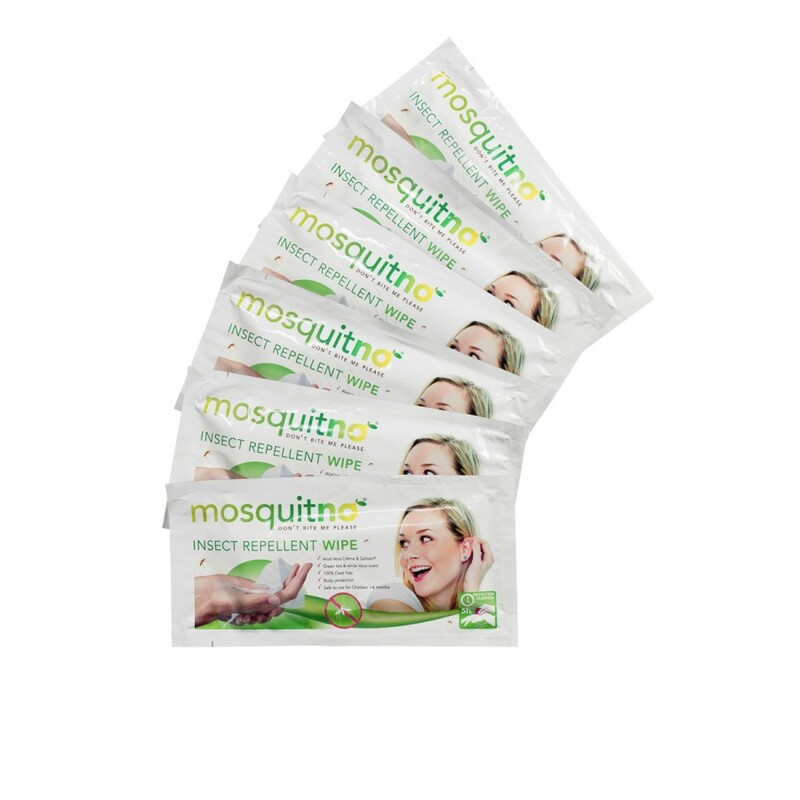 The active ingredient Saltidin® is used in the MosquitNo Cosmetics line. Saltidin® is as effective as DEET, but it is non toxic. Saltidin® is recommended by the World Health Organization as the best healthy alternative for DEET. It protects you against mosquitoes and a lot of other insects like: Aedes aegypti, malaria mosquito, anopheles gambiae, aedes aedes, sand flies, black flies, deer flies, stable flies, aedes albopictus, culex quinquefasciatus. 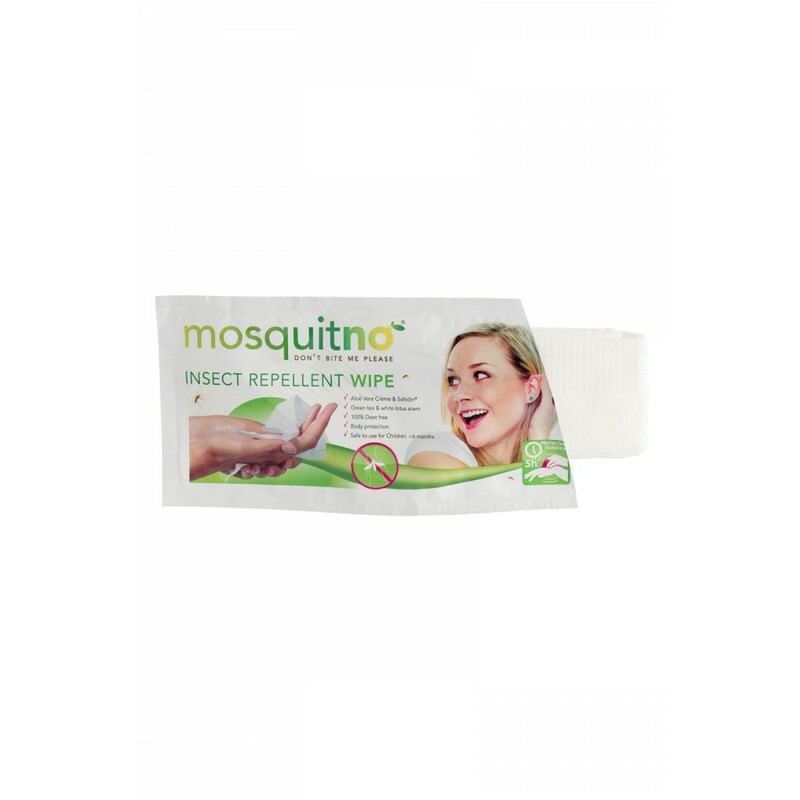 Use the MosquitNo Insect Repellent Wipe anywhere you go. The small waterproof packaging makes the wipe ideal to take with you in your bag or pocket. 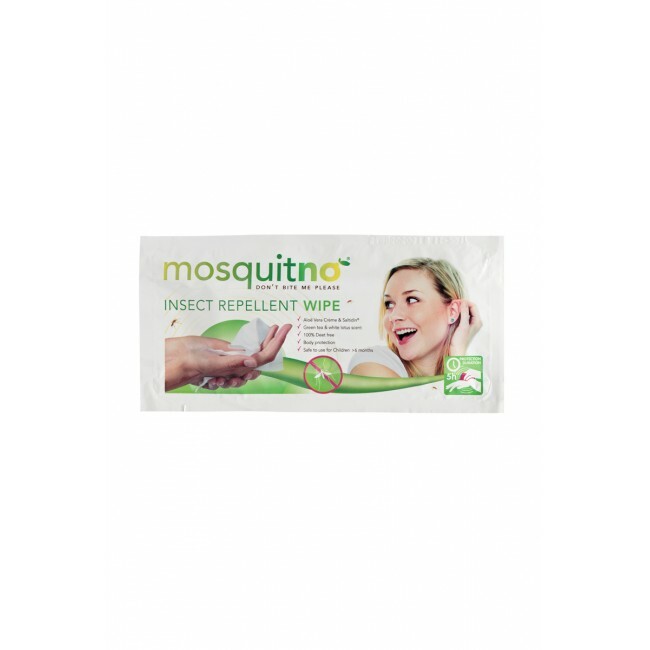 The mosquito repellent wipe is ideal during the early evening and night, it cares for the skin and gives your that fresh feeling we all love. Effective against the Aedes mosquito which transmits diseases like Malaria, Dengue, Chikungunya and Zika.